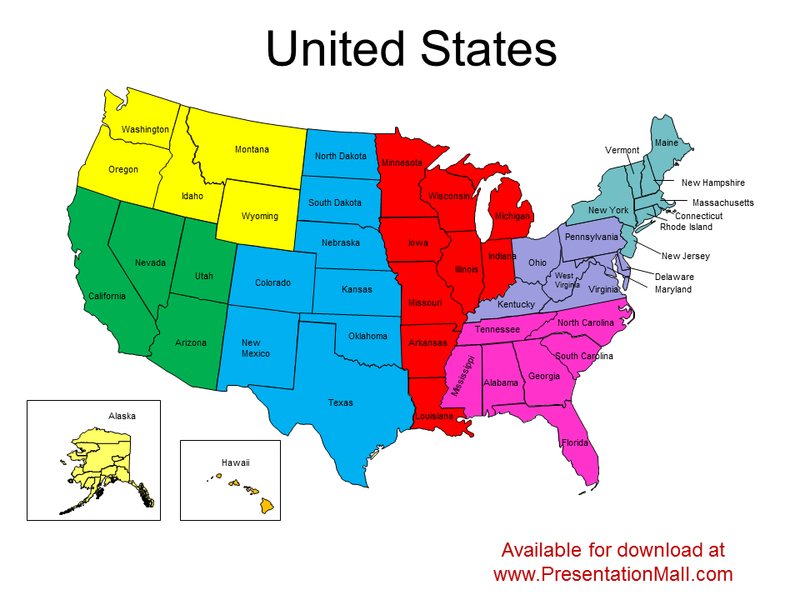 Editable United States map for PowerPoint. Easily edit state and county objects. 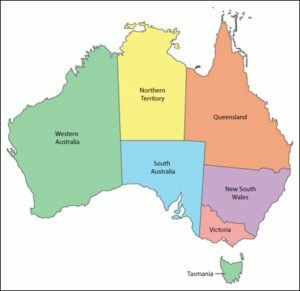 Change colors of individual states or groups of states to define regions and territories. 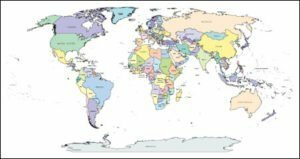 Add your own data and elements or re-size the map to fit your presentation! 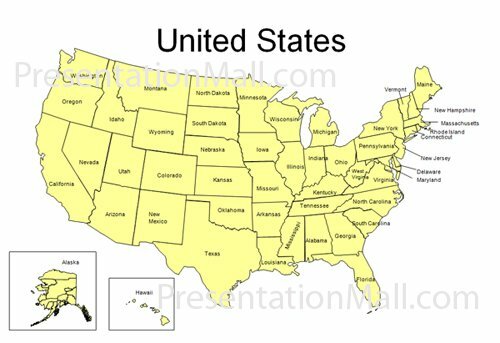 Quickly & Easily Edit this United States Map to Fit your Presentation Needs! 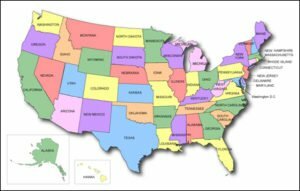 Editable United States map state with each state broken out as a separate object so that you can easily change the color of each state or break the map into regions or territories. 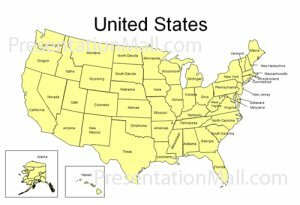 The United States PowerPoint map is a pre-formatted in Microsoft PowerPoint® and is easy to customize to fit your presentation requirements. 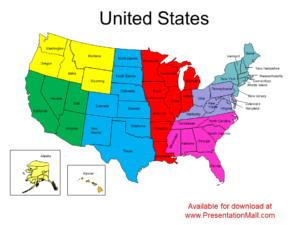 This product contains a single United States PowerPoint slide with each of the states names. The USA Map is pre-formatted and placed in a single PowerPoint Slide. Add, change or delete all text on this US map. Easy to define and build sales and marketing territories in PowerPoint.